Our Cacao chai offers a blend of traditional chai spices, and fairly traded cacao, from the talented folk at Loving Earth. 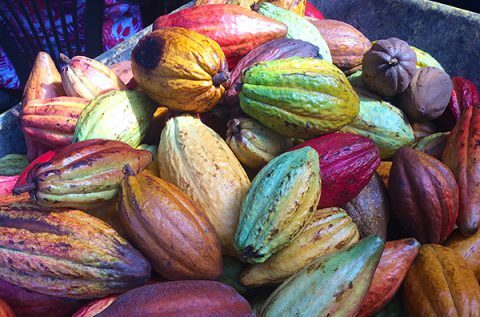 The aromatic spices of star anise, cloves, cinnamon and cardamom perfectly compliment cacao, which is rich in antioxidants and magnesium. 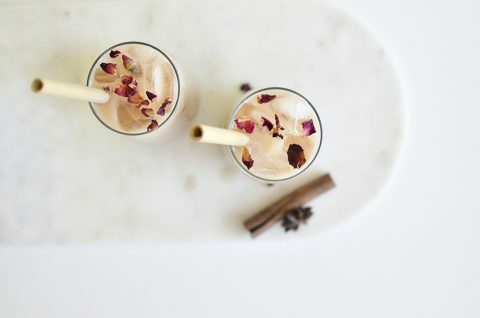 Offering a smooth and creamy texture, this spicy blend is the perfect combination of chai tea and hot chocolate. 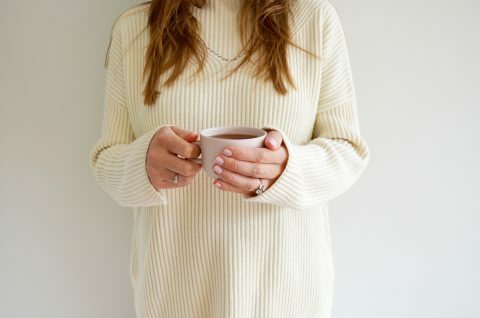 Which blends are safe to drink during pregnancy? Just as every individual has a unique constitution and a different state of health, a woman’s pregnancy can be just as unique. Our pregnancy range has been formulated to support and optimise women’s health for each specific part of the pregnancy journey. 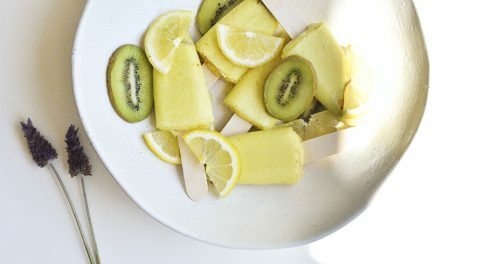 Unfortunately, we cannot design blends, which are perfect for everyone’s specific health requirements as each individual is so unique. We trust that you will be guided by your own state of health and personal wellbeing and simply use our blends which are appropriate for you. As the seasons change from Summer to Autumn, we reach a time that welcomes change, letting go of the old and allowing room for the new. A time for releasing, moving on and shedding that which no longer serves you, which ultimately leads to rebirth and welcomes new beginnings. 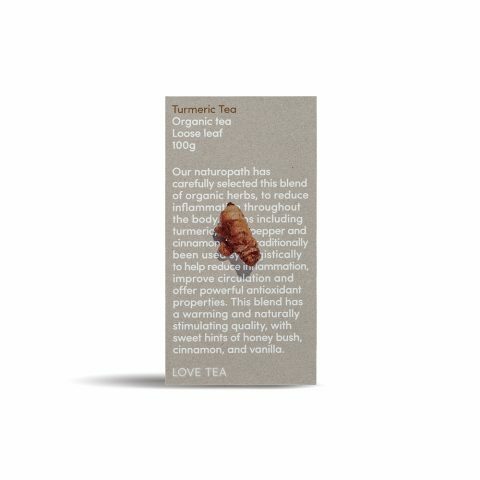 We often get asked why turmeric is good for you and for alternative ways to prepare our Tumeric based Tea. Turmeric has a long history of medicinal use, dating back thousands of years. In Southeast Asia, Turmeric is not only used as a spice but also as a flavouring, dye and a component in religious ceremonies. Keeping the kids hydrated over the summer months can sometimes be tricky. 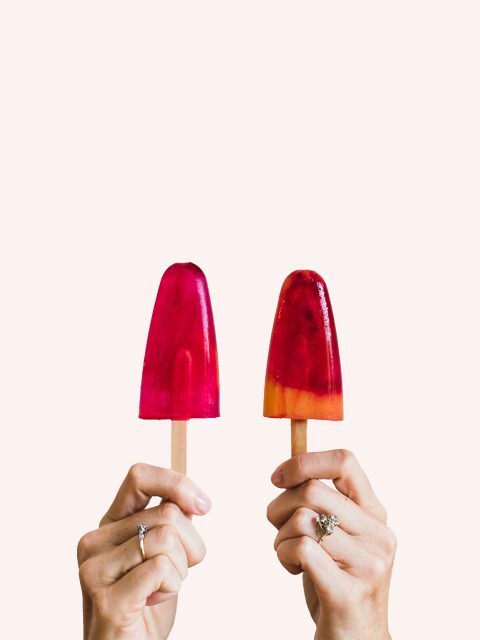 Icy poles are always a favourite in our household, but we find the packaged versions are often filled with sugar or other additives and offer minimal health benefits for our kids. 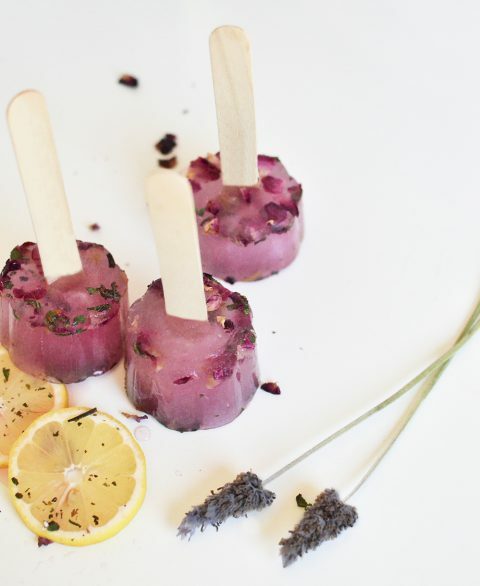 We also find that so many kids really enjoy herbal tea and so we thought we would combine the two and came up with this easy ice-tea pole recipe, that is guaranteed to satisfy the little ones on a hot day. There is often a lot of questions raised around fair trade practice. Where the fair trade money goes and who the people are that actually benefit when we purchase fair trade products? In the beginning, we too asked the same questions, to be honest, with a little bit of a cynical leaning towards the fair trade concept. 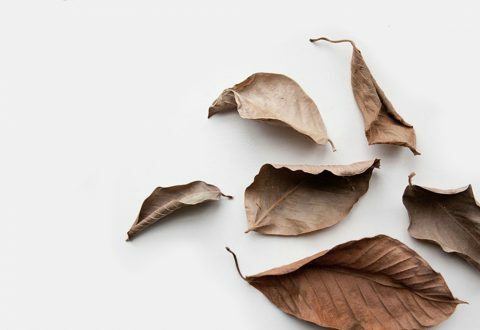 We found it hard to trust organisations and companies when we’d hear the bad stories of greenwashing or false claims of effective and meaningful impact just to try and market an ethical business model. We’ve got a range of beautiful gifts for the tea lover in your life, at a range of different prices. We have something to suit every occasion and every budget. 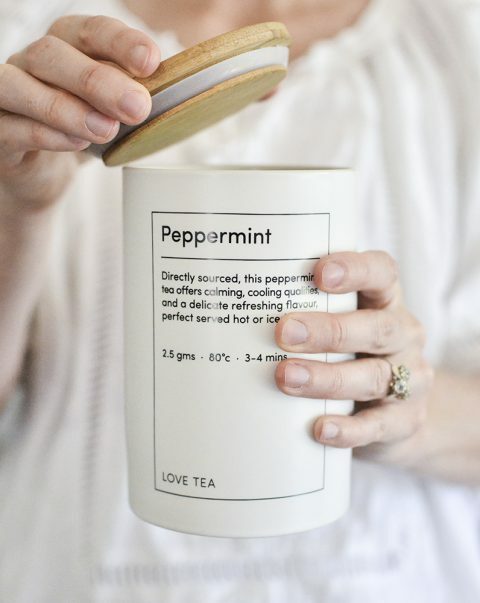 Click through to explore our tea-based gift guide. 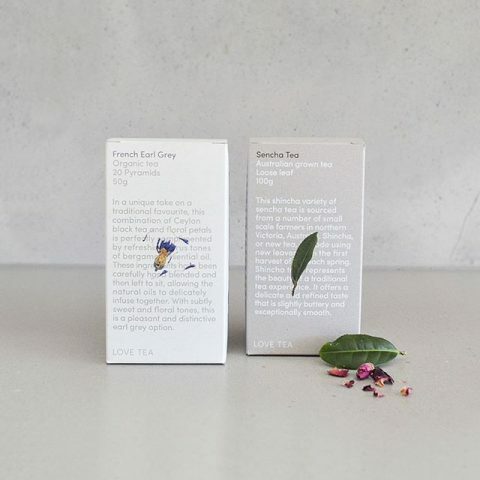 We’re now offering a limited edition range of our canisters, full of your favourite tea blends. We have 17 blend options available for $30.00 each, and with only 5 of each blend available, these won’t last long! Find them all here. 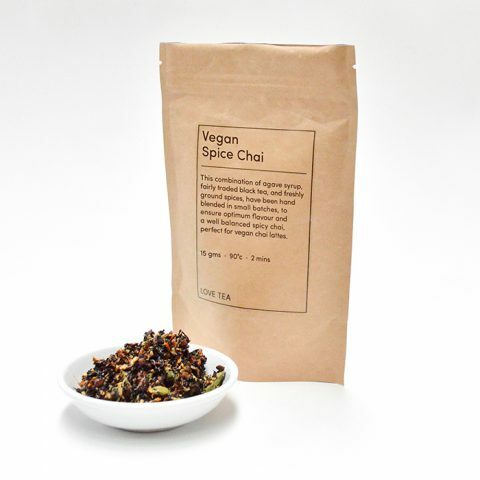 We’re now offering our very popular Honey Spice Chai in a vegan option! 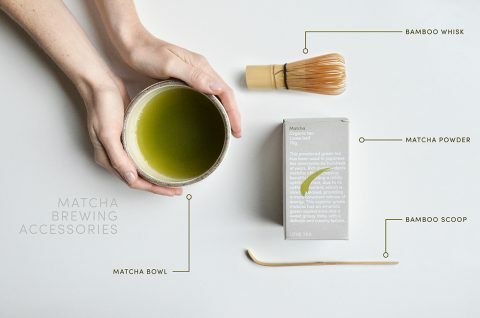 If you’ve tried Matcha, but just aren’t quite convinced, there are many other ways to consume this tea, and still receive all the therapeutic benefits. One of the easiest ways is to mix it into a smoothie. 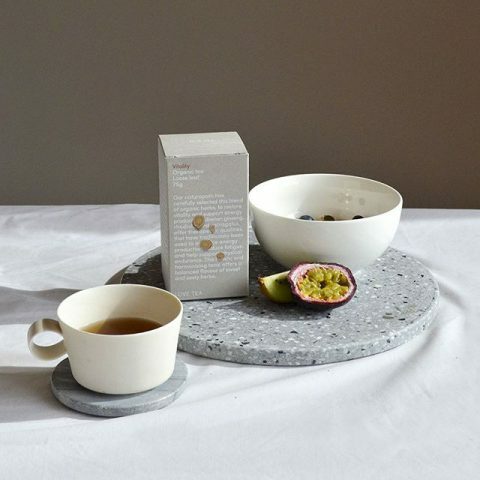 With our new Hasami and Yumiko ceramics range now available on our website, there is a tea accessory to suit every tea drinker. Head on over to the ceramic section of our website to view our full range…the perfect gift for yourself or a friend. Link in bio. ???? 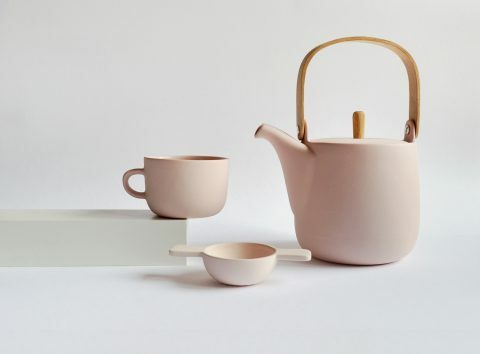 With our new Hasami and Yumiko ceramics range now available on our website, there is a tea accessory to suit every tea drinker. 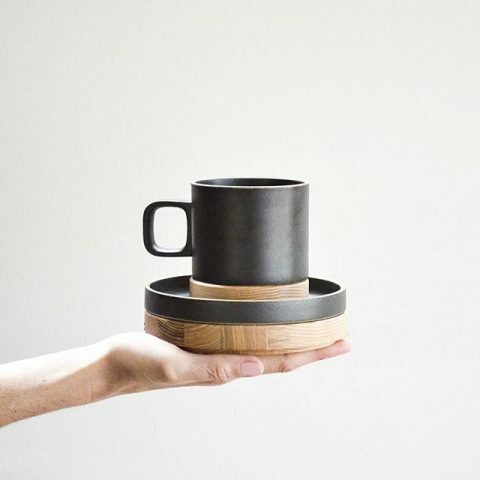 Head on over to the ceramic section of our website to view our full range…the perfect gift for yourself or a friend. Link in bio.
? Did you know that the clear bags we use that hold our tea are NOT polypropylene plastic bags like many food grade bags? Which means you can compost our cellophane bags and they will naturally break down in your home compost. 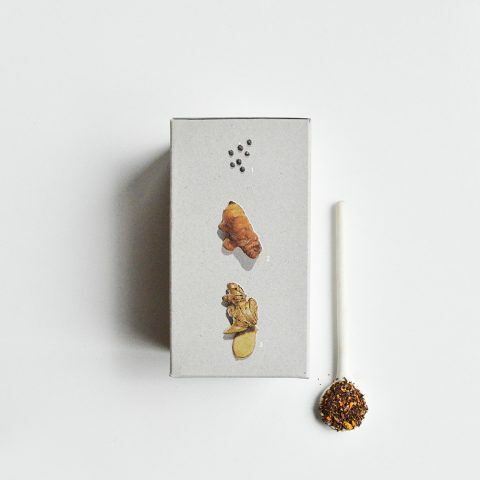 Our outer packaging is made from recyclable cardboard and we print using vegetable-based inks. 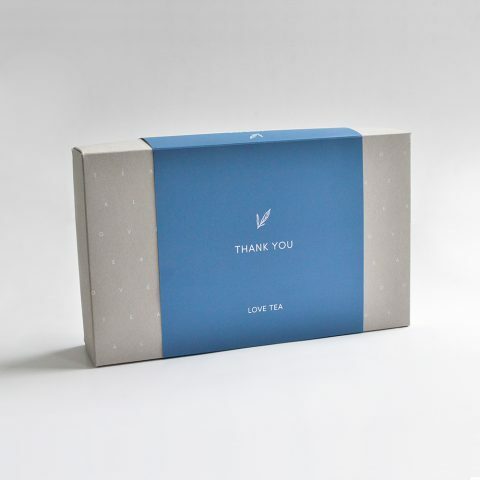 We then also ship our products in post-consumer recycled cartons, so you can be sure that we’ve thought about our packaging choices and the effect our products have on the environment. To read more about our sustainability goals head over to the journal page on our website. Link in bio ? 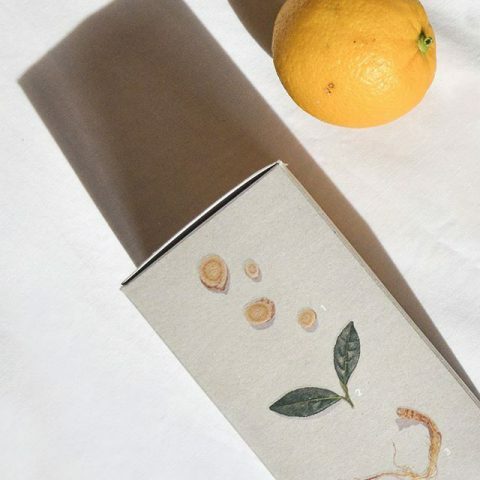 We are regularly asked about the way that we pack our tea, and often these questions are focused on an environmental concern surrounding plastics, glues and non-recycled elements. 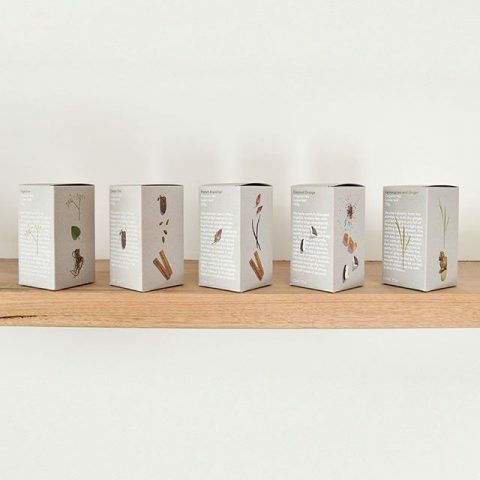 We don’t use any of these elements in our packaging, and this article helps to further explain our stance on environment focused packaging.
? Honey is a great way to bring a subtle sweet tone to your cup of tea. It also offers an amazing range of health benefits, such as its powerful antimicrobial activity, antioxidant content and to support the health of the respiratory system ?
? Honey is a great way to bring a subtle sweet tone to your cup of tea. It also offers an amazing range of health benefits, such as its powerful antimicrobial activity, antioxidant content and to support the health of the respiratory system ???? ? 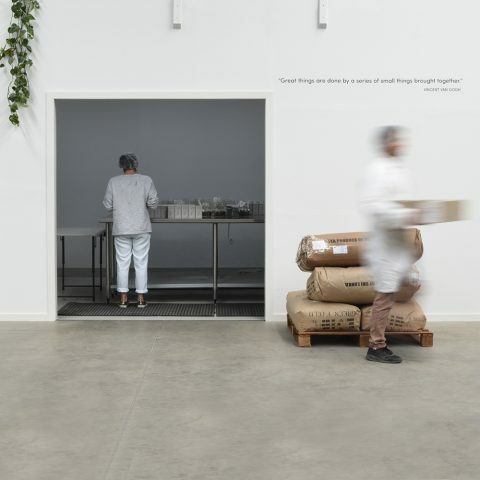 Holding a few hundred kilograms of raw ingredients takes up quite a bit of room, so in early May we made a big decision and moved into a brand new warehouse so that we could continue packing more of the tea that you love without so many space restrictions. 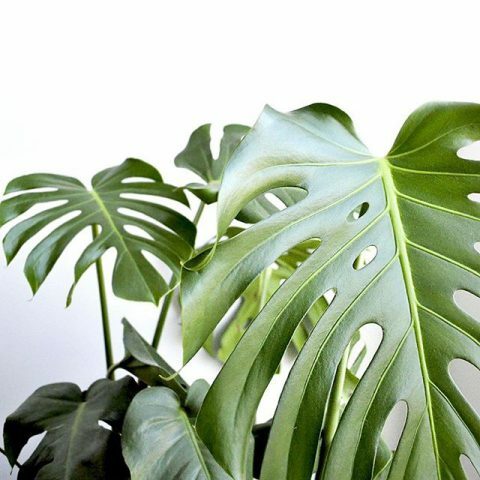 From physically cleaner air to beneficial effects on your psychological health, task performance and illness reduction, indoor plants aren’t just about aesthetics – these are just a few reasons why our office space and warehouse is full of indoor greenery ???????? 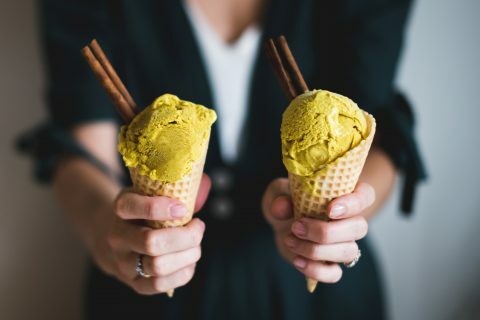 Matcha tea has made a resurgence in popularity in recent times, and while it has done so with good reason, the method of roasting and pulverizing green tea into a powder has been around since the Song Dynasty (10th – 13th Century). 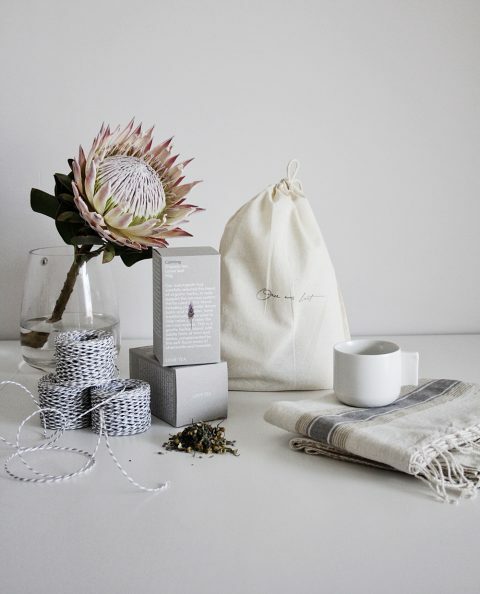 If you’re in Melbourne this weekend we would love for you to visit us @finders_keepers market with a huge range of loose leaf and pyramid tea bags available. You can find us at the Royal Exhibition Building in Carlton, Friday 20th from 5pm – 10pm, Saturday 21st from 10am – 7pm and Sunday 22nd from 10am – 5pm. The best in independent design, food, music and art, locally designed and Australian made… all under one roof. We look forward to seeing you there!
? 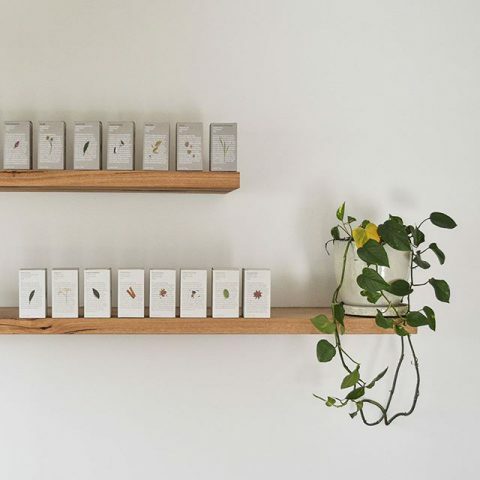 If you’re in Melbourne this weekend we would love for you to visit us @finders_keepers market with a huge range of loose leaf and pyramid tea bags available. You can find us at the Royal Exhibition Building in Carlton, Friday 20th from 5pm – 10pm, Saturday 21st from 10am – 7pm and Sunday 22nd from 10am – 5pm. 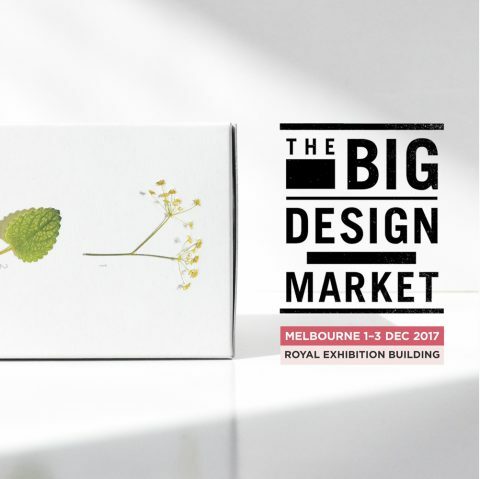 The best in independent design, food, music and art, locally designed and Australian made… all under one roof. We look forward to seeing you there! ? ???? 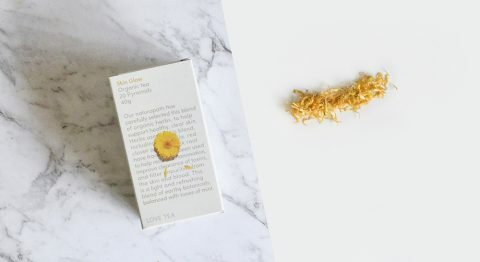 This is a botanical blend of white tea, delicate flowers and naturally sweet goji berries. 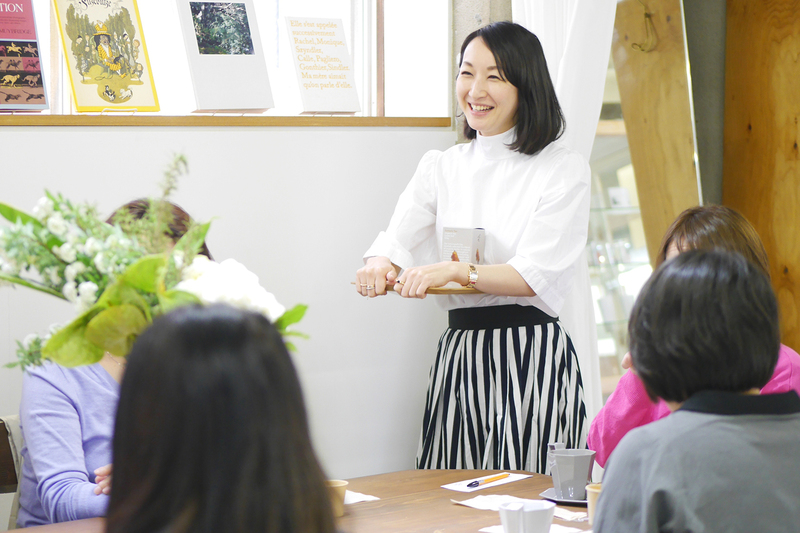 Individually hand gathered, white tea is the new young leaves from the camellia sinensis plant. It is renowned for its high antioxidant content and has less caffeine than green tea. 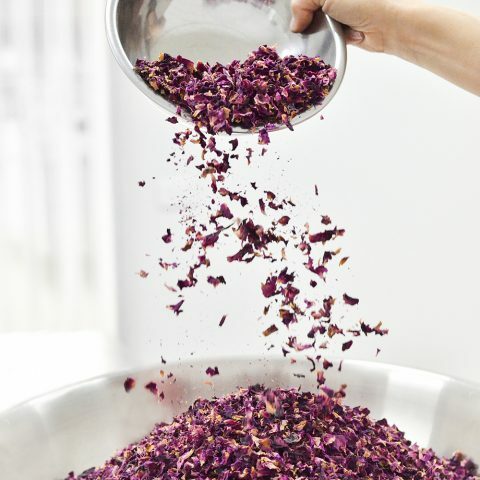 Hibiscus flowers, rose petals, and rose hips bring this beautiful blend to life, offering a clean body, with a light, refreshing flavour ???? 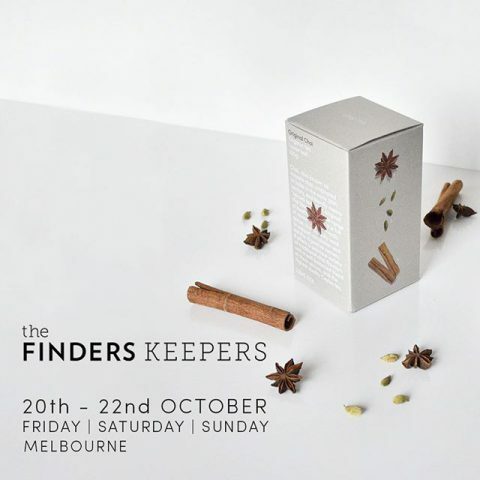 If you’re in Melbourne this weekend we would love for you to visit us at the Finders Keepers market, with a huge range of loose leaf and pyramid tea bags available.
? We believe in using whole herbs, which are as close to their original state as possible. These herbs offer many health benefits due to their multitude of diverse yet specific compounds, which help achieve certain health outcomes in the body. 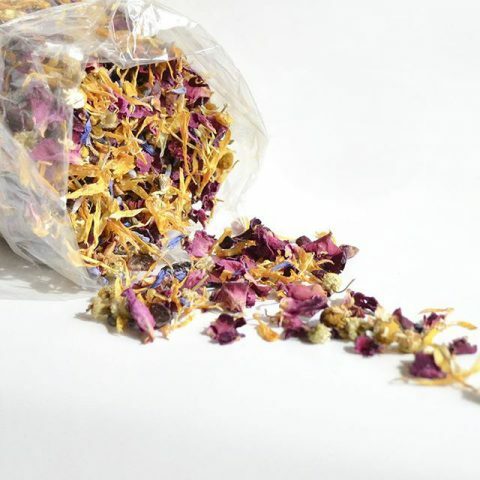 We use the exact same blends in our loose leaf tea as we do in our pyramid tea bags so that you get the most therapeutic benefit regardless of how you choose to brew your tea ? 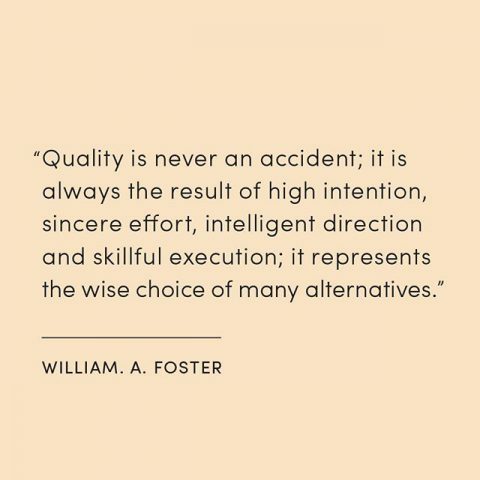 High intentions, careful consideration + consistent effort will lead to quality outcomes ???? ???? ???? 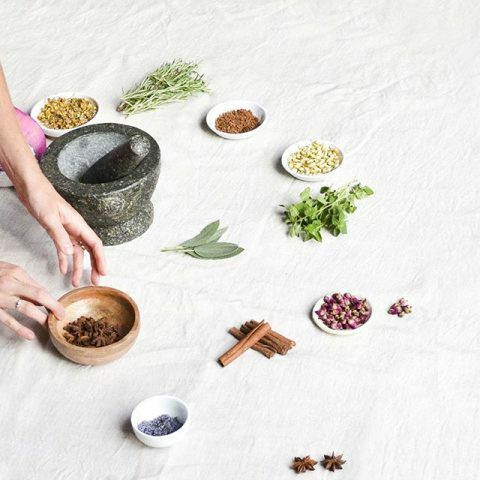 Our naturopath has carefully selected this blend of organic herbs, to support healthy cognitive function and memory. 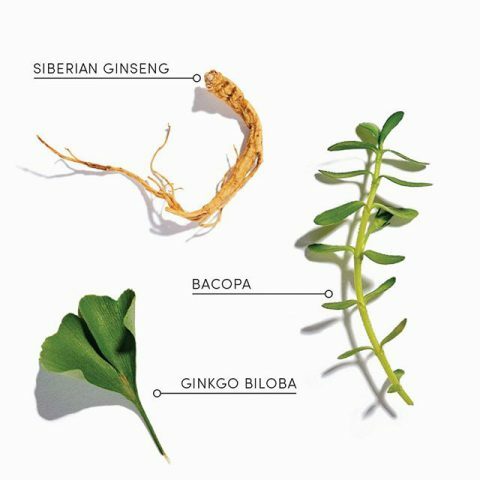 Ingredients including gotu kola, bacopa, ginseng and ginkgo biloba, offer therapeutic qualities that have traditionally been used to improve memory and promote healthy cognitive function. With hints of mint and subtle tones of ginger, this blend offers subtle and refreshing flavours ????
? Have you seen our new ceramics range? ? 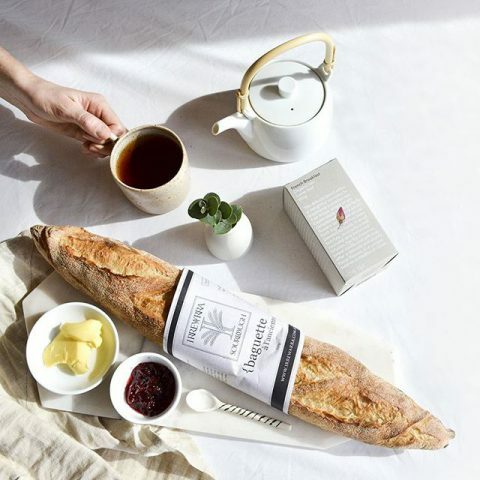 We have selected these pieces to enhance your tea drinking experience, as we believe in providing tea lovers with premium tea, which can be enjoyed from high quality teaware. The Hasami collection has been designed and based on a fixed module, with each piece sharing the same diameter so that they can be stacked and stored with ease and efficiency. Follow the link in our bio to view our full ceramics range, and find the perfect piece for you, or to gift.
? Have you seen our new ceramics range? ? 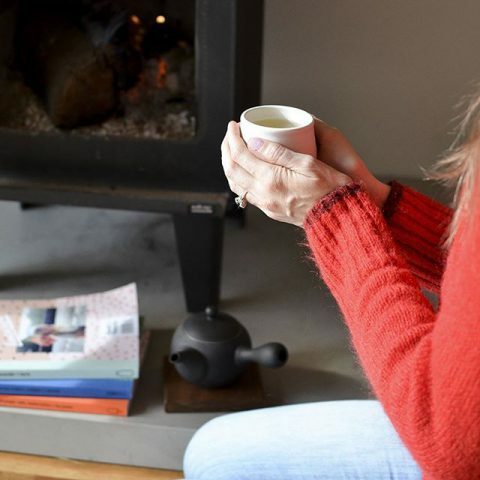 We have selected these pieces to enhance your tea drinking experience, as we believe in providing tea lovers with premium tea, which can be enjoyed from high quality teaware. The Hasami collection has been designed and based on a fixed module, with each piece sharing the same diameter so that they can be stacked and stored with ease and efficiency. Follow the link in our bio to view our full ceramics range, and find the perfect piece for you, or to gift. We’ve made it no secret – we believe that real food is not only better for your health, but it tastes good too ???? 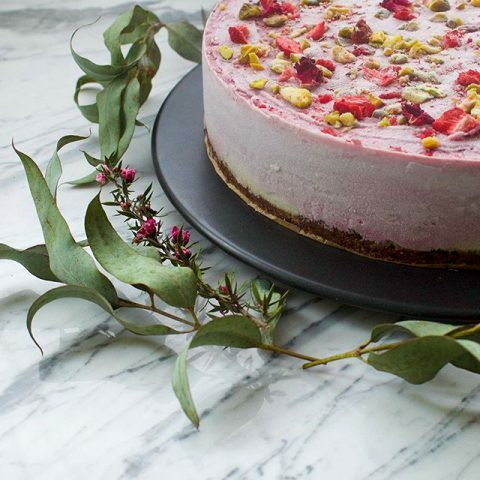 So we’ve enlisted the help of our whole food-loving friend Gem, from @recoveringraw and she developed this Strawberry & White Chocolate Mousse Cake ???? 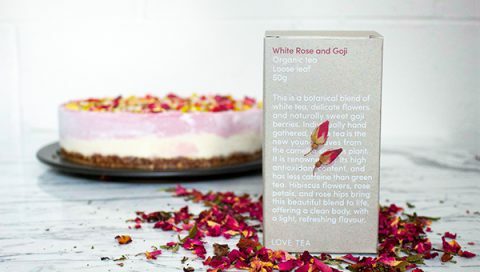 using our White Rose and Goji tea. Head on over to our new Journal page on our website to view this delicious recipe – link in bio. Traditionally used for its unique flavour and health benefits in traditional Indian meals, cardamom supports digestive function by stimulating gastric secretions and improving the absorption of nutrients from your food. You can find this herb in our Caffeine Free, Original, Cacao, Dandelion and Honey Spice Chai blends.
? 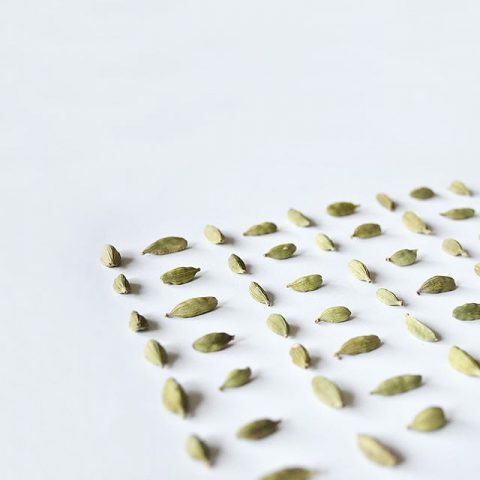 Traditionally used for its unique flavour and health benefits in traditional Indian meals, cardamom supports digestive function by stimulating gastric secretions and improving the absorption of nutrients from your food. You can find this herb in our Caffeine Free, Original, Cacao, Dandelion and Honey Spice Chai blends. 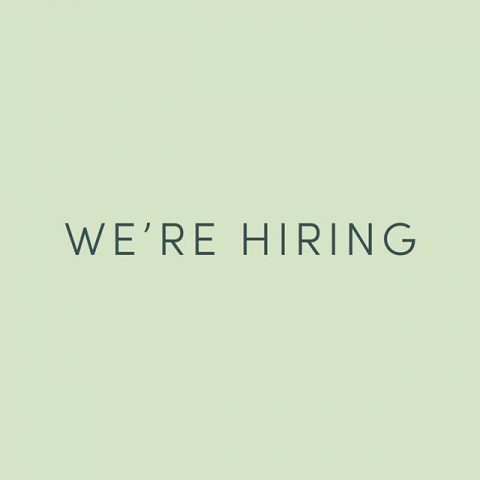 We currently have 3 positions available at Love Tea, and role descriptions for these positions can be found on our website, under the Contact menu on the Employment page. We have 2 positions for Production Team members, and one role available for Design and Marketing. If you know someone who might be interested, please tag them in the comments below ???? 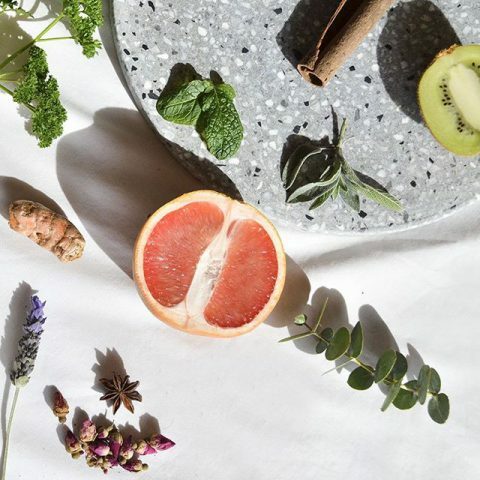 DETOX | Our naturopath has carefully selected this blend of organic herbs, to naturally support detoxification. Herbs used in this blend, including nettle leaf, dandelion and burdock, have traditionally been used to help support healthy function of the liver and kidneys, and aid the clearance of toxins. This is an earthy and grounding blend, offering grassy notes of nettle, with hints of sweet fennel and ginger. 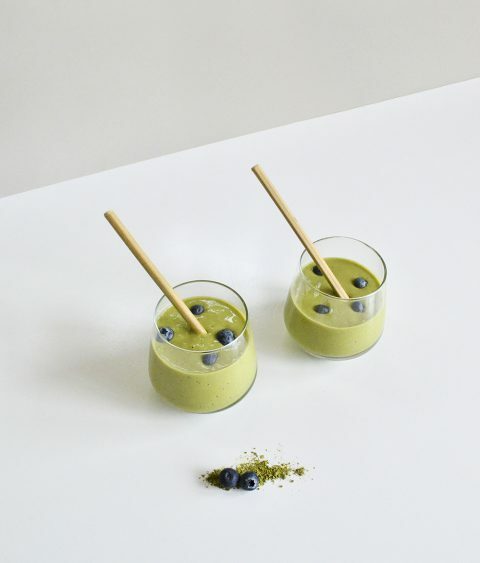 If you’re looking for a way to kick-start a detox, @bodygoodfood is running a 21-day wholefood eating program, which aims to achieve a full body detoxification under the guidance of a qualified nutritionist. You’ll also receive some goodies, including our Detox blend.
? 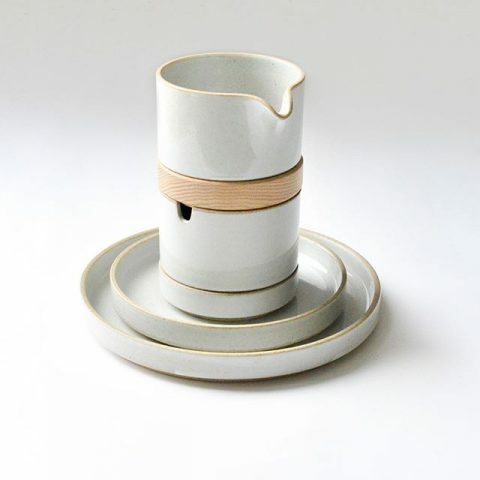 Hasami porcelain products have been designed and based on a fixed module, with each piece sharing the same diameter so that they can be stacked and stored with ease and efficiency ? 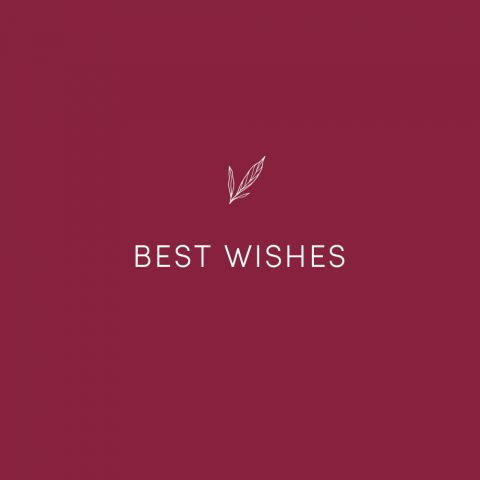 Find our new Hasami range on our website – link to website in bio. Although the warmer weather is on its way, cold and flus can still be hanging around at this time of year. 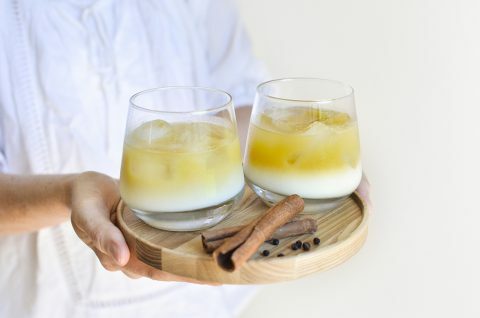 Ginger offers amazing health benefits perfect for this time of year. It holds warming qualities, it offers circulatory stimulation, digestive support and can improve vitality ???? 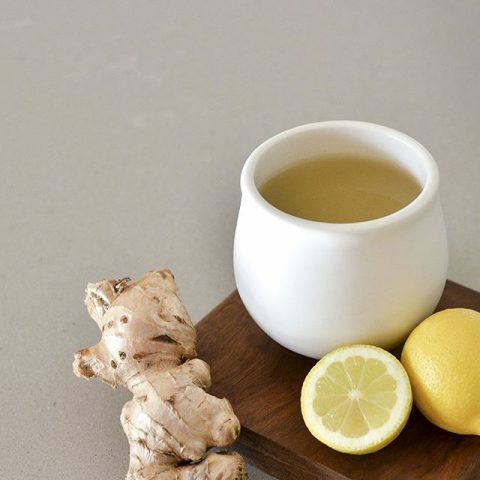 Lemongrass and Ginger tea is the perfect tea to see you through those lingering cold days. 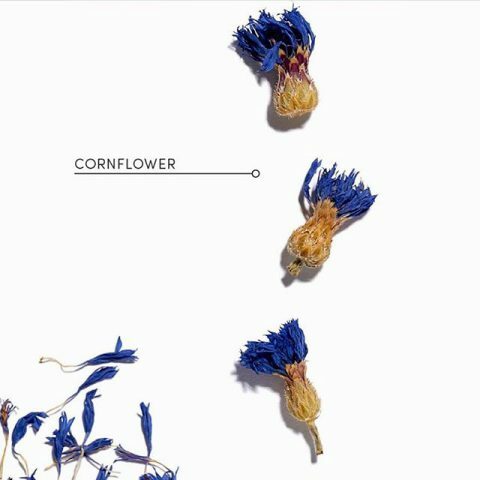 CORNFLOWER ??? ?This amazing flower offers astringent, soothing anti-inflammatory qualities, and offers support for the nervous system ????
? ???? 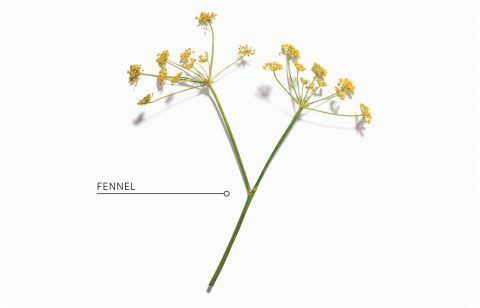 From crop to cup we ensure the botanicals we use are kept as close to their natural state as possible. 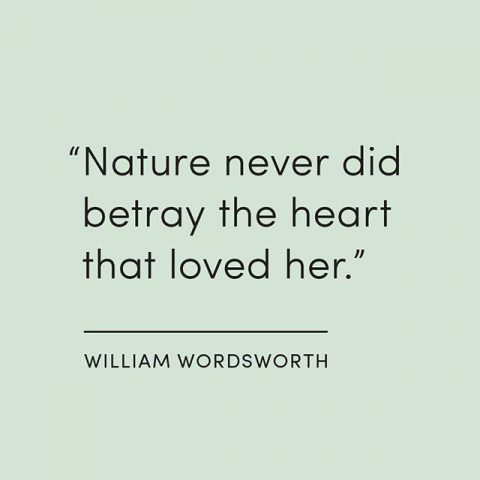 We believe the least invasive approach, which minimally alters or changes the botanical from its natural state, will ensure optimum therapeutic benefits.
? 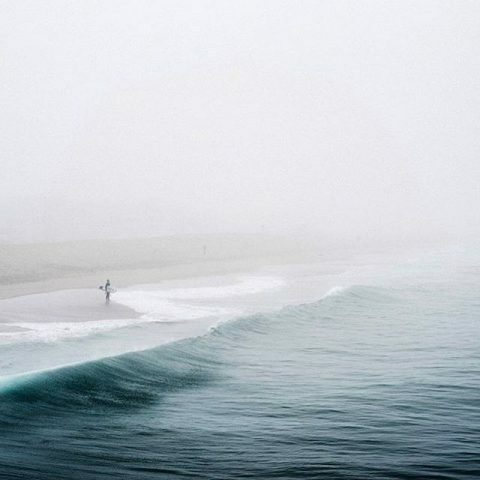 There is a beautiful synergy between body and soul when your mind finds a moment of peace and quiet ? Even though the range has grown from just a few blends to over 50, we still take the time to hand blend and test each batch to ensure optimum therapeutic benefit and flavour ????? ???? We have always believed in creating tea blends that focus on improving your health and encouraging wellness from the inside out. Choosing certified organic produce guarantees that the product has been grown, handled and packaged without chemicals or food additives. In addition to this, due to the way it is grown, certified organic food has a higher nutritional density, which means it carries a higher amount of antioxidants, nutrients and minerals ???? We have a new range of ceramics from Japanese ceramicist Yumiko Iihoshi. 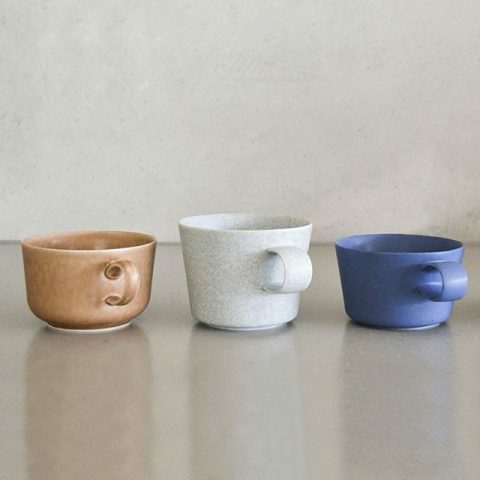 These porcelain products are hand made in Japan and are infused with nostalgia. They are designed with simplicity and a unique touch, which makes each piece feel hand crafted with the highest quality materials Head to our website to see the full range. We have a new range of ceramics from Japanese ceramicist Yumiko Iihoshi. 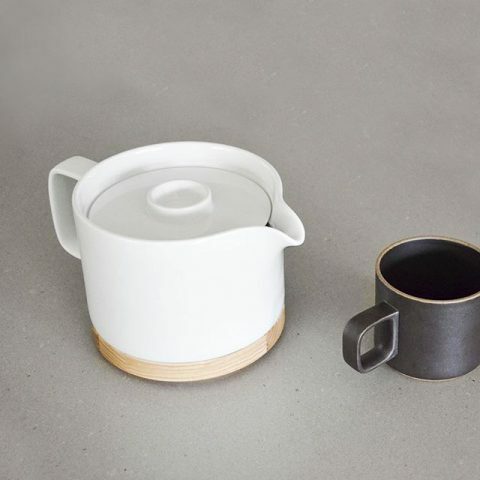 These porcelain products are hand made in Japan and are infused with nostalgia. They are designed with simplicity and a unique touch, which makes each piece feel hand crafted with the highest quality materials ? Head to our website to see the full range. Have you subscribed to our newsletter? 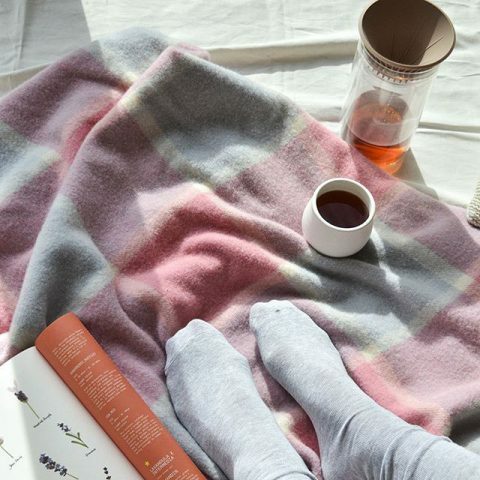 With the help of some tea loving friends, we’ll be sending out a few tea-based recipes for you to try this week ???? You can find the link to our website in our bio. LICORICE LOVE | A refreshing blend of organic licorice root and spearmint, this blend offers a range of health benefits. Licorice root has traditionally been used to help support the adrenal glands and the respiratory system, and aid digestive function. 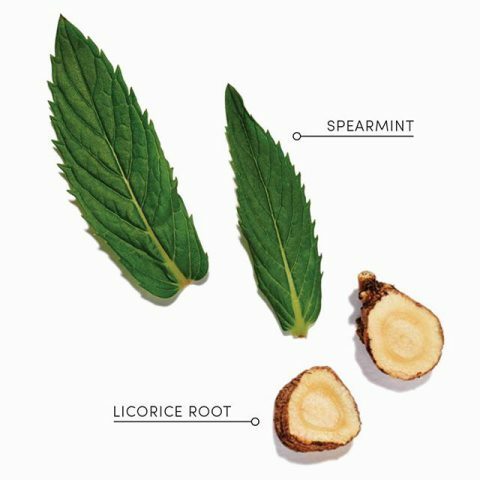 This smooth blend has a fresh, minty flavour, with a naturally sweet after taste from the licorice root. It is naturally caffeine free and can be consumed any time of the day ???? 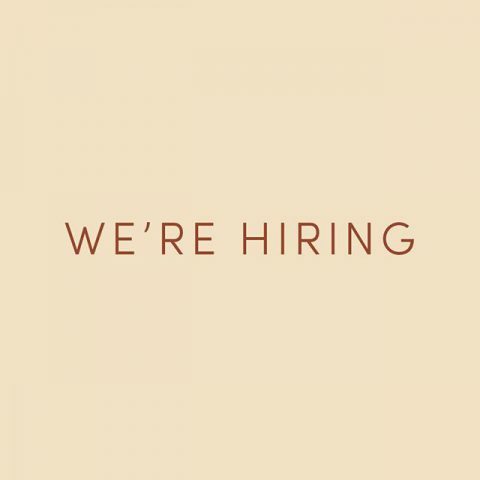 We currently have 3 positions available at Love Tea, and role descriptions for these positions can be found on our website, under the Contact menu on the Employment page. 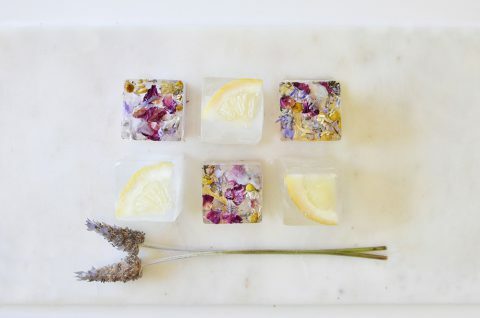 Have you ever wondered which of our 18 wellness blends would be most beneficial for you? 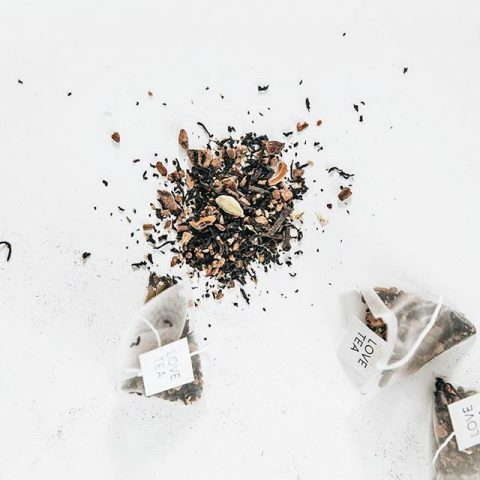 Our Concern menu on our website makes it really easy to sort through our blends, and to find a tea that is right for you. 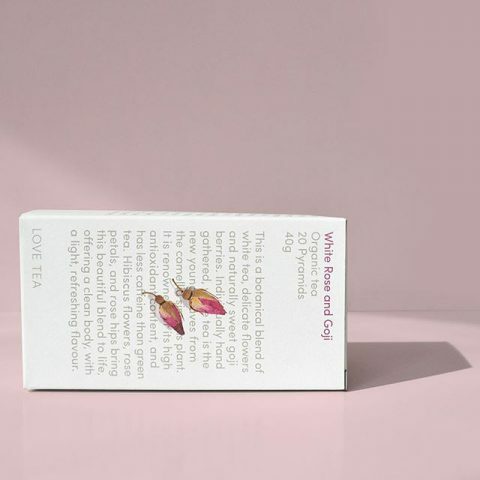 We’ve covered everything from Allergies to Skin Conditions, Indigestion and Stress, through to the different stages of Pregnancy, and we have a range of blends suited to each health concern Simply head to lovetea.com.au to find the Concern section within our Shop menu. Link in bio. Have you ever wondered which of our 18 wellness blends would be most beneficial for you? 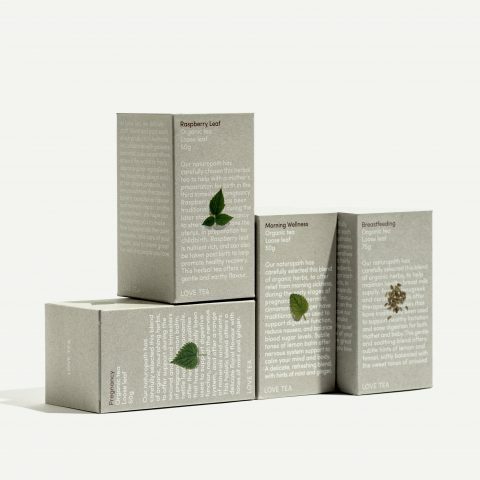 Our Concern menu on our website makes it really easy to sort through our blends, and to find a tea that is right for you. 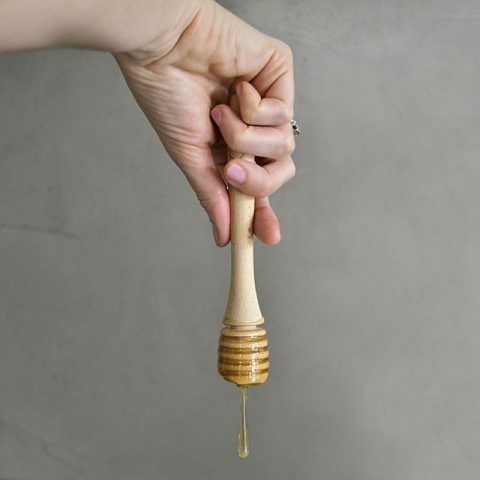 We’ve covered everything from Allergies to Skin Conditions, Indigestion and Stress, through to the different stages of Pregnancy, and we have a range of blends suited to each health concern ???? 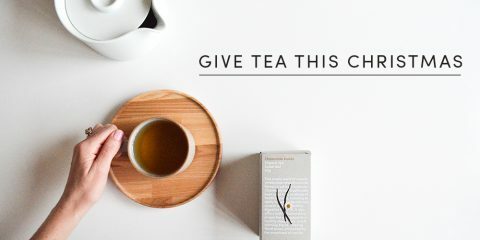 Simply head to lovetea.com.au to find the Concern section within our Shop menu. Link in bio. It’s Australian Organic Awareness Month – are you making the switch to certified organic produce this month? Organically grown food not only tastes better, but it also holds higher mineral and antioxidant content. This means greater nutrition for you, and less chemicals for the planet…its win win in our opinion! 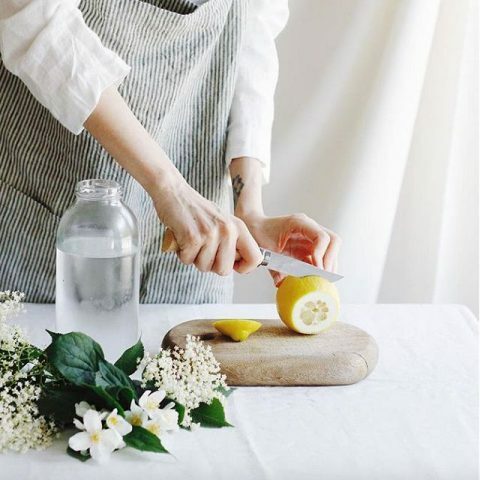 Drinking lemon water first thing in the morning will alkalize your pH, cleanse and purify your body naturally and increase your vitamin C intake ???? Simply squeeze half a lemon into a cup of warm water and drink it 30 minutes prior to breakfast ???????? 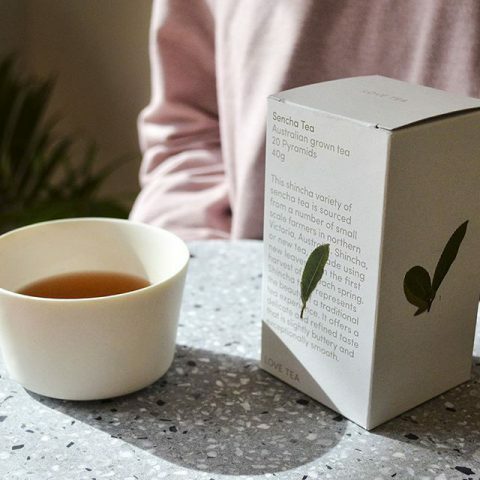 LOOSE LEAF TEA • Better for the environment as it reduces excess packaging • Reduces energy consumption, as we hand pack our loose leaf blends • A more authentic tea experience, offering a great opportunity to slow down. • A more authentic tea experience, offering a great opportunity to slow down. ???? Make some time to get outdoors and enjoy Mother Nature – we’re confident she won’t let you down ???? TRADITIONAL TEAS A collection of the finest quality, traditional camellia teas, sourced directly from premium growing regions around the world. 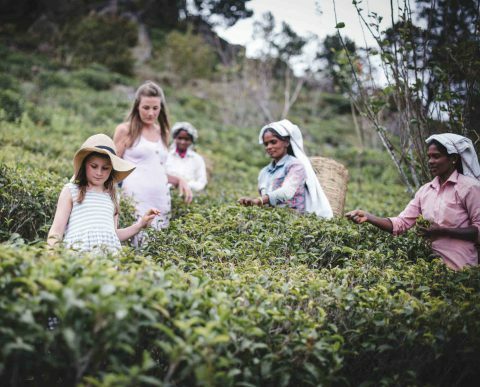 Our traditional range offers a wide selection of organic, single origin and specialty camellia sinensis varieties. 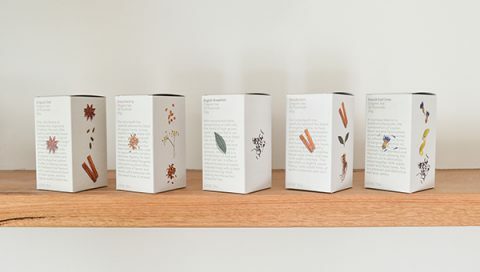 Some of our most popular blends from this range are: • English Breakfast • French Earl Grey • Australian Sencha • Oolong • White Rose & Goji • Genmaicha • Jasmine Pearls Let us know your favourite blend in the comments! Let us know your favourite blend in the comments! ????
? 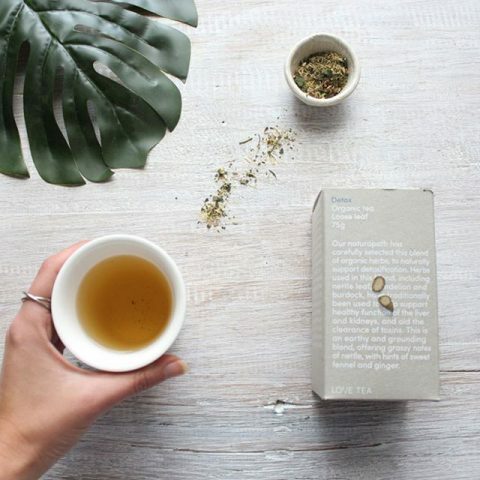 At Love Tea we believe in using whole herbs, which are as close to their original state as possible. These herbs offer many health benefits due to their multitude of diverse yet specific compounds, which help achieve certain health outcomes in the body ?
? Hand crafted Japanese ceramics now available from our online store ? Follow the link in our bio to view the new range.
? 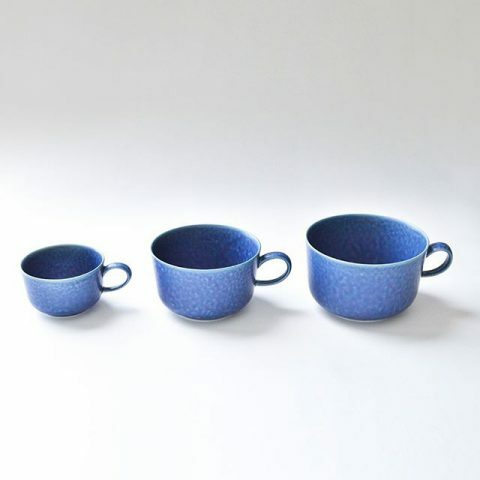 Hand crafted Japanese ceramics now available from our online store ? Follow the link in our bio to view the new range. We’ve recently received a stunning shipment of new ceramics, straight from porcelain specialists in Japan. 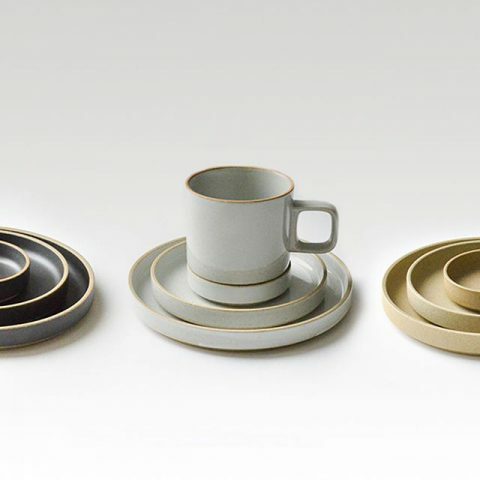 Hasami porcelain products are made in a district of Japan, which has a 400-year long culture of porcelain manufacturing, and features straight lines and a modular design to represent the essence of traditional Japanese aesthetics. 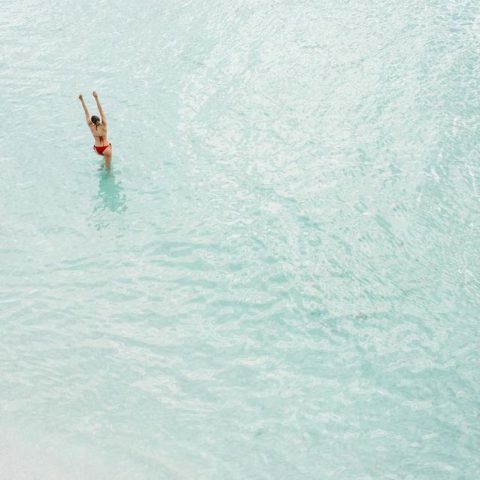 This weekend, make some time for you and do something you love. 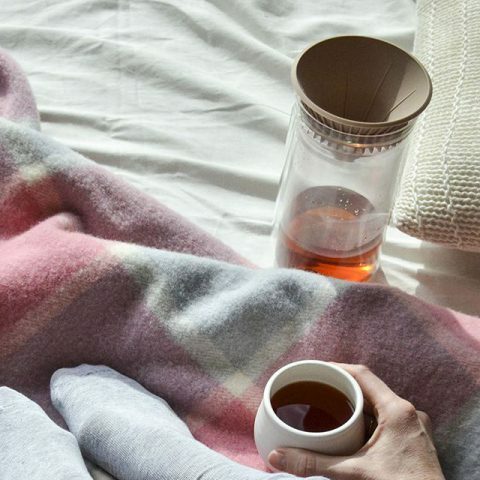 Sleep in, read a book and drink tea in bed ???? 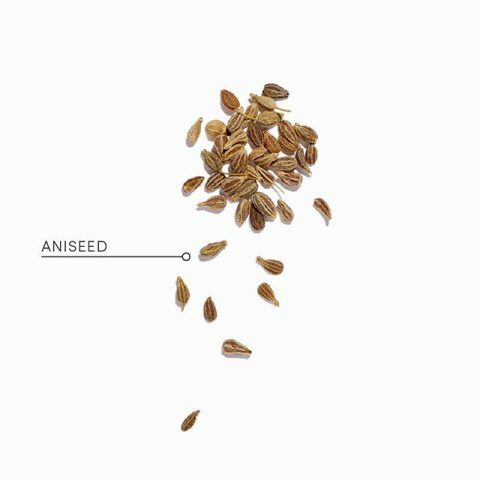 Aniseed offers an extensive range of health benefits for your digestive system and is the perfect herb to consume either side of a meal, to help optimise the break down of your food and the absorption of nutrients ? You can find this wonder herb in our Breastfeeding and Digestive blends.
? We aim to help you improve your health, which is why our wellness range includes 18 different blends. 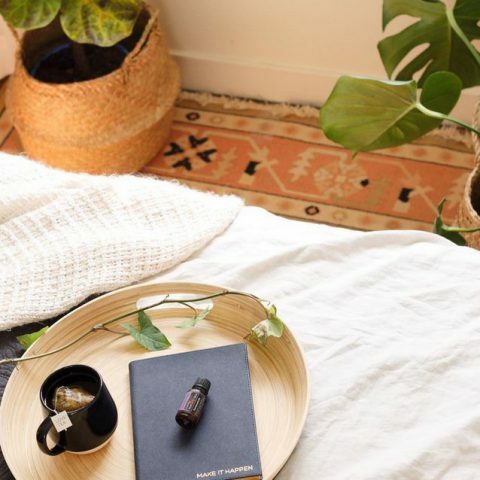 Each blend is carefully developed and designed by our naturopath, using the highest quality, certified organic ingredients, to help support and promote your well-being ? ???? 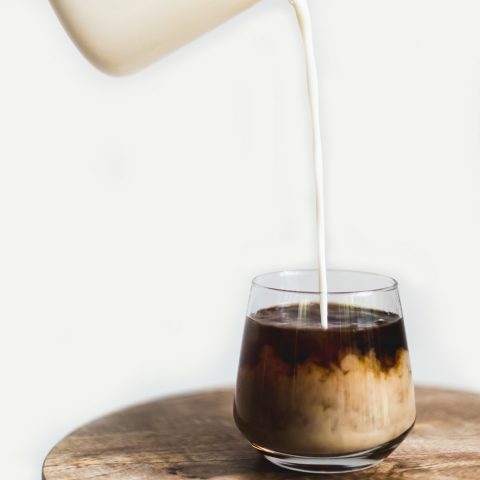 We’re passionate about considering the effect of our choices on others, which is why we fairly source the majority of our ingredients directly from the growing communities and cooperatives who produce them, and we pay fair trade premiums for the ingredients purchased from fair trade farms. That way, you know that your tea doesn’t cost someone else whilst making its way to your cup ???? Make healthy choices, drink a cup of tea with breakfast ? 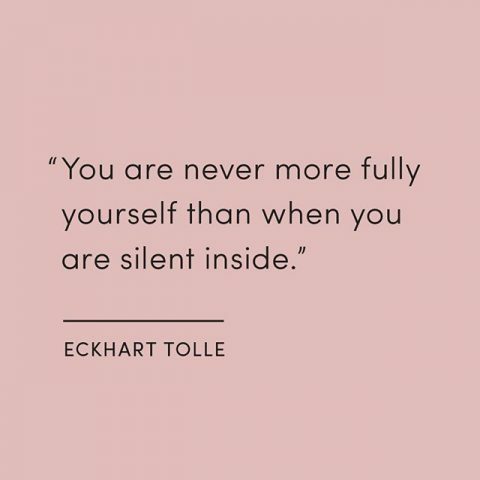 and don’t forget to take some time for you this week ?
? 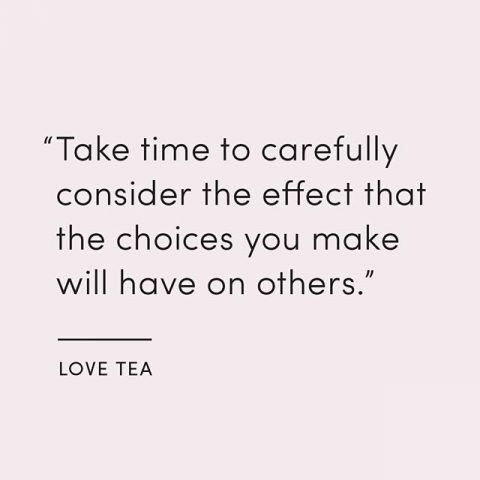 We currently have two positions available at Love Tea, and role descriptions for both positions can be found on our website, under the Contact menu on the Employment page. If you know someone who might be interested, feel free to tag them here ? ELEGANT + MODULAR | Hasami porcelain products are made in a district of Japan, which has a 400-year long culture of porcelain manufacturing. 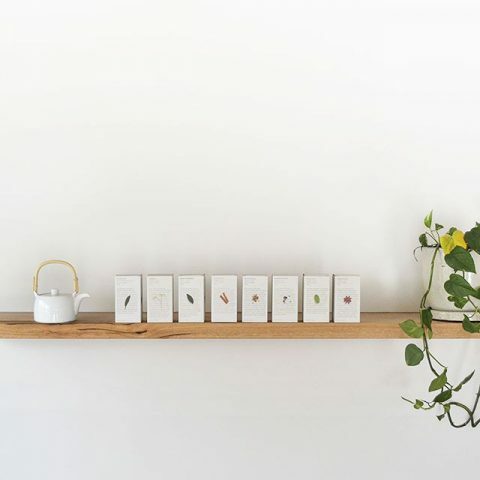 These porcelain products use straight lines to represent the essence of traditional Japanese aesthetics, and are designed to be elegant and functional for everyday use. 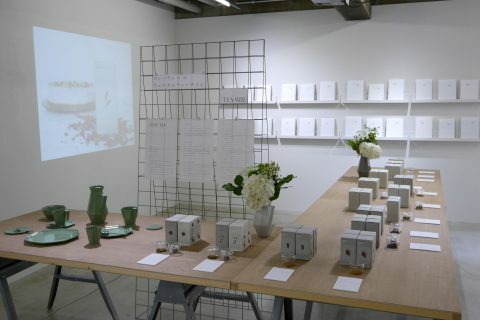 Hasami products are made of a mixture of porcelain substance and clay, and are created with a matte texture and colour, which are natural and unique to the material. Click the link in our bio to see our brand new Japanese ceramics range. 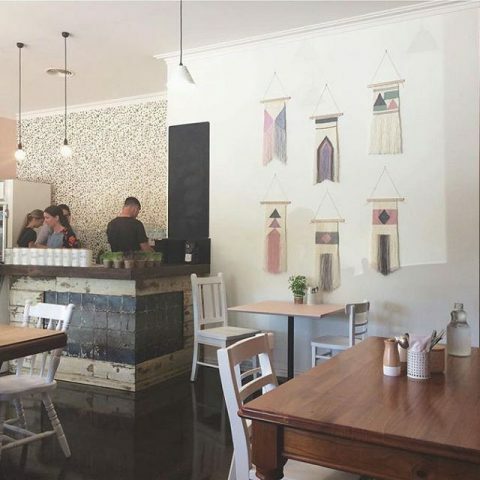 Do you know a café that serves amazing coffee or food or store that you think might be a great fit with Love Tea? We would love for you to let us know – tag them below???? A few questions to help guide you toward more thoughtful purchases: – Where does it come from? – How was it made? – Was harm caused in order to produce it? – Do I need this? – How was it made? – Was harm caused in order to produce it? – Do I need this? ???? September is Australian Organic Awareness Month through @australianorganic and it’s a great opportunity to be conscious of the food going into your body and to make choices that benefit both the environment and Australian businesses that are working hard to help make these choices easier for you. Love Tea products have been certified organic for the last 5 years and we will continue to commit to producing tea that is better for your health and for the environment ???? 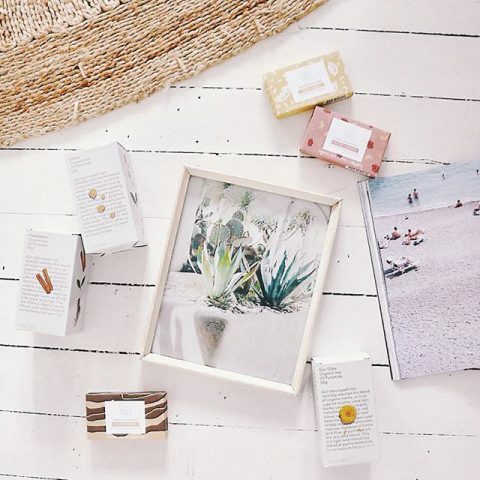 Every September, Australian Certified Organic celebrates their biggest event of the year, where they highlight, promote and support products and brands that proudly wear the Australia Certified Organic Bud logo. If you’ve never seen this logo, it can be found on the back of our boxes of tea. 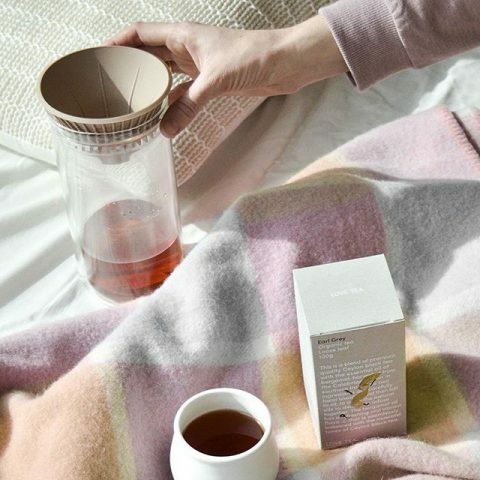 Love Tea products have been certified organic for the last 5 years, so we thought we’d share our top reasons for choosing organic products, and why Love Tea will continue to produce tea that is Certified Organic. Aside from the therapeutic benefits of individual ingredients, tea offers so many amazing health benefits. 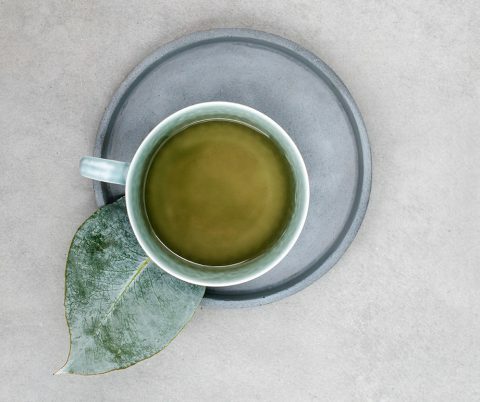 Tea is well known for its antioxidant levels but dependent on the individual spice, herb or tea, the benefits can include anti-inflammatory qualities, digestive support, circulatory stimulation and many more health benefits ???? 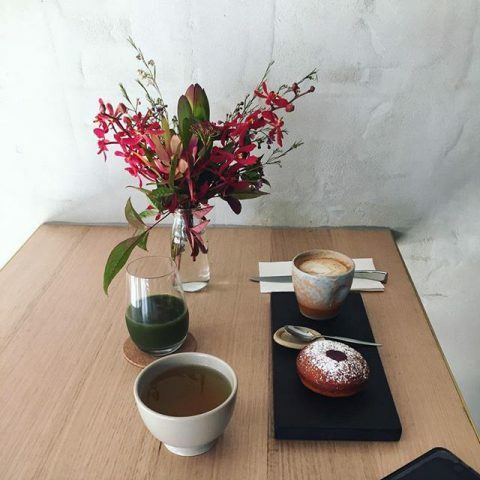 Are you in Canberra and looking for an afternoon treat? 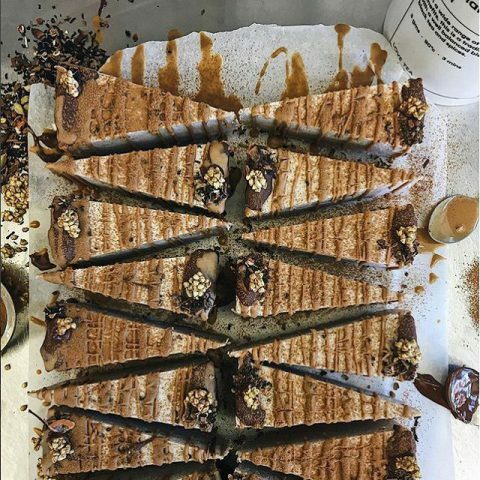 Our newest stockist @doughnutdepartment has you covered, with a large range of doughnut-style treats and of course a great selection of Love Tea. They’ve also got some delicious vegan and dairy free options and they only work with local and sustainable businesses ????? ???? If you’re just beginning your pregnancy journey, or you know someone who is, these beautiful herbs could become your best friend. 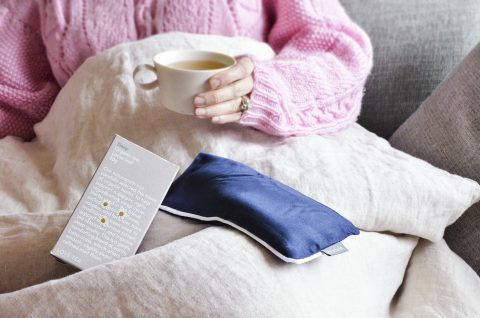 Our Morning Wellness blend is based on herbs, which have traditionally been used to help support the nervous system and help relieve morning sickness. 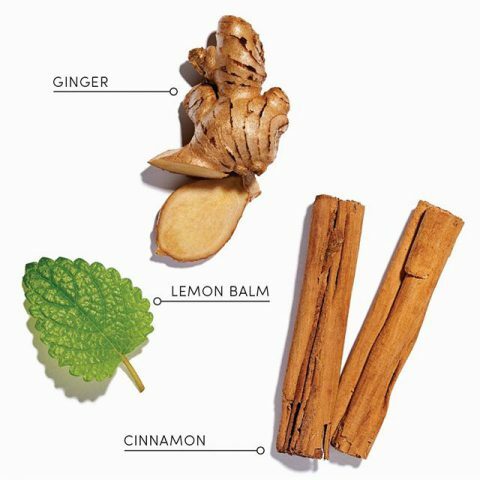 Cinnamon and ginger have traditionally been used to support digestive function, reduce nausea, and balance blood sugar levels and the subtle tones of lemon balm offer nervous system support to calm your mind and body. A delicate, refreshing blend, with hints of mint and ginger ???? 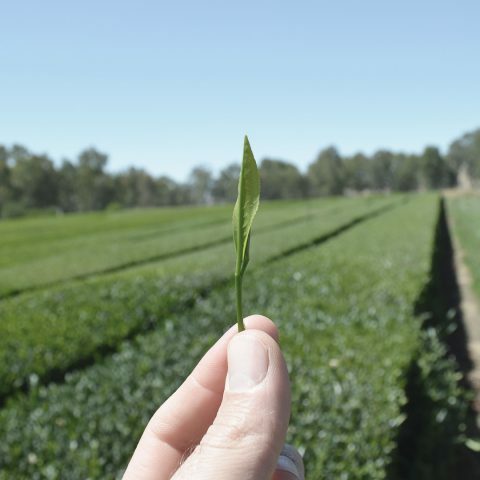 Our Australian Sencha tea is grown and harvested in Wangaratta, Northern Victoria, and is the first teas harvested for the season after the plant has been dormant over the winter. 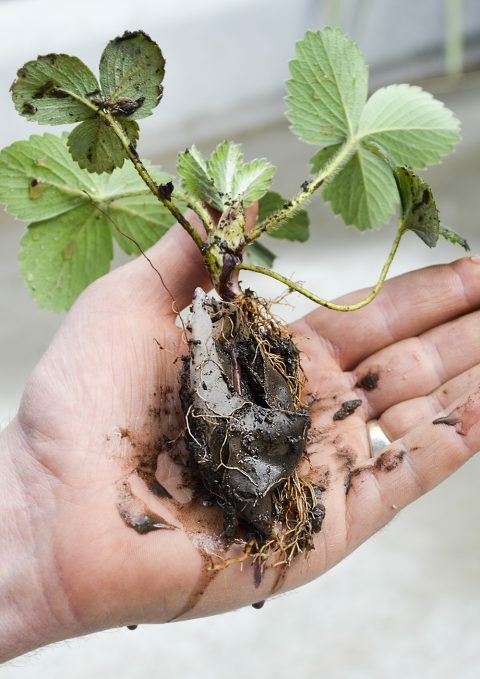 The plant continues to absorb nutrients into the roots and leaves enhancing the abundance of nutrients and flavours, which are essential to the growth of both spring shoots and new leaves. This Shincha, or “new tea” has a low catechin and caffeine content, making it less bitter and astringent than many other green teas, and it also tends to have a higher content of amino acids, which give it full-bodied flavour and sweetness ??? ?